Edit your profile to change your address, phone numbers, add a photo or your emergency contact information. 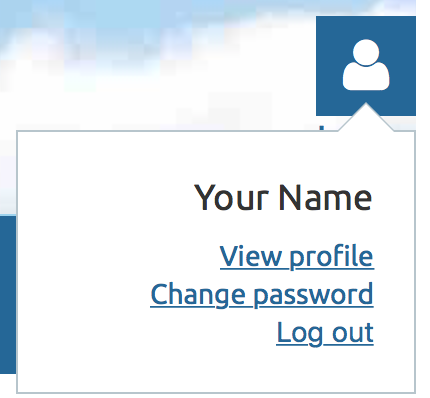 Click on the “login icon” and 3 options will display: View profile, Change password and, Log out. Verify all information and when you are done, click "Save" and your information is updated! To add or change your photo, click on the login icon and then on "View profile"
The photo function is half way down the page. Click "Remove/Change" next to your photo. Upload a portrait photo from your computer. When you are done, click "Save" and your photo is updated! Our website has strong security features. Your profile and all personal information is only visible to active members and only after they login. Open the calendar page and scroll to the event you want to attend. If there are spaces available: you will see a blue “Register” button under the event title. Click to register and follow the registration process screen by screen through to payment and confirmation. You must click “confirm” to finalize your registration. Soon after that you will receive a confirmation email and payment instructions. Please try again if you do not receive the email confirmation. For paid Events your registration is finalized when payment is received. If paying by check, you will receive an email with your invoice and mailing instructions. Mail your check promptly to confirm your registration and hold your spot. If the event is full: the only button available will be “Join the Waitlist.” Please click on this button and follow the instructions screen by screen until you reach the “Review and Confirm” page where you click the “Join Waitlist” button to confirm. Please do not send payments if you are waitlisted until the event leader sends you an invoice for this purpose. No payments are required for joining the waitlist. Send a support email using our Contact Us form in our CONTACT menu. Open the Calendar page and scroll to the event you want to cancel. Click on the "Already registered" link to open your registration details. 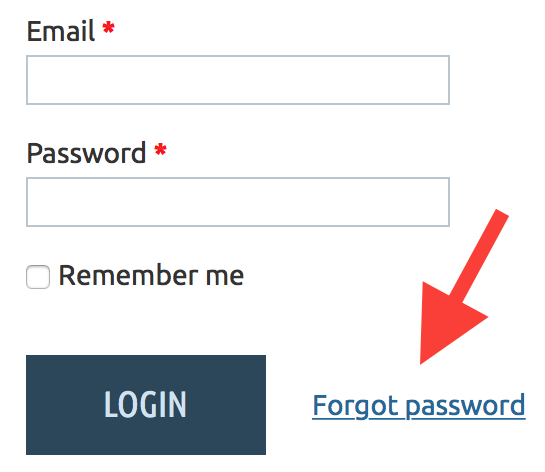 Click on the "Cancel Registration" button.